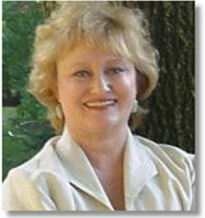 Say “hello” to Debra Shiveley Welch! Debra, it’s lovely to meet you. Tell us about yourself—you know, all that stuff that makes you interesting! I was born and raised in Columbus, Ohio. We were extremely poor, and we kids were horribly neglected–but we survived! I spent a lot of time on my grandparent’s farm in southern Ohio where my ancestors settled in the 1700s. Many of my essays deal with farm life such as “The Old Farmhouse”, “Summer Harvest”, “I Am From” and “Why I Write”. I now live in Westerville on a lovely lake with my husband of 26 years, Mark, and son Christopher, age 20. A large kidnapping ring was broken up and adoptions to that area suspended for a couple of years. The men who kidnapped my daughter, American attorneys, went to prison in Central America. I was devastated! I felt like my child had died, but in 1992 we finally got “the call” and Christopher came into our lives at seven days of age. We were the sixth couple called because Chris was born with cleft lip and palate. He was beautiful and has filled my heart with joy ever since. I love to cook to relax and have taught Chris to cook as well. During an extended illness, from which I am still recovering, Chris did all of the cooking and tried to coax me into eating. He is an exceptional cook and at 20 is now the youngest sushi chef in the area. Chris and I greatly enjoy dining out together and trying new cuisines, then coming home and trying to copy them. Fortunately, my recovery has progressed to the point where I believe that Chris and I and my cousin Vicki (from whom Cedar Woman’s image was derived) will be able to travel to the Muddy River Powwow in Farmington, Iowa this June. Chris and I love to travel together and it’s fun having Vicki along. I love documentaries, especially ones that deal with history, and of course, cooking shows and, need I even say it…Downton Abbey! Now, don’t think me too strange, but I greatly enjoy reading old books, and I mean old! I have a huge collection of books published in the 1800s and have one of the largest collections of Eugene Field’s works. I am now reading The Diary of Samuel Pepys which was written throughout the 1600s. OMG, I am SUCH a Downton Abbey fan! You’ve had extraordinary life experience, Debra. You are truly a survivor! When and why did you begin writing? If I could write some poetry. To get my silly stuff to rhyme. No words would go either here or there. I wouldn’t do it at all if I couldn’t do it then. That poets get paid for every day! But, no, I had to have it my way. Don’t ever quit ‘till you’ve reached your goal. Don’t do as I did and quit–just like that. If at first you strike out, go back up to bat. You might say that the dam cracked and out all of the poetry in my soul began to pour out. I was an extremely unhappy child and writing was my therapy. I met my husband at age 30 and by my 34th year, we were married. When we were 39, we adopted our beautiful son, Christopher. Chris became my muse, and I began my career as an author. I don’t stay within one genre. My first book was “A Very Special Child”, a children’s book that explains adoption in a spiritual way and won the Faithwriter’s Gold Seal of Approval–Outstanding Read Award in 2004. My second was a thriller co-authored with my cousin and titled “Jesus Gandhi Oma Mae Adams”. My third was my memoir, which my publisher insisted that I write, and I called it “Son of My Soul–The Adoption of Christopher”. Although it addresses adoption and talks about my life of child abuse in the first half of the book and Chris’ adoption, surgeries and joys in the second, it’s really a self help book which teaches a parent how to stop the Circle of Abuse. It has won the Faithwriter’s Gold Seal of Approval–Outstanding Read and Books and Authors Best Non-Fiction Award 2007. I also have an assortment of essays on Amazon in the Kindle format such as The Wedding Dress, The Miss Adventure–Skiing for Love, Mama Told Me, Writing Your First Book and many more. I use an outline, character sheets and a timeline. An outline is like your road map. It keeps you on track and heading toward your destination without too many side trips. The character sheet lists the name of the character, their relation to each other, hair color, eye color, height, weight, likes, dislikes, habits, etc. Have you ever read a book where Ronald is a blond with green eyes until about chapter five when his hair is black? It’s simply because the author changed it for some reason and they and their editor missed the change. I’m lost without a character sheet! I also use a timeline and list characters’ dates of birth, anniversary dates, important events, etc. Therefore, if I say a character is now 40, I have the timeline to make sure I didn’t age them prematurely! James E. Michener inspires me to research, research, research! If I mention a day of the year and weather, I go back and find that day and use it as a go-by. Stephen King–he is a word master and gets more sensory input out of the fewest words of anyone I’ve ever read. Finally Taylor Caldwell, Barbara Taylor Bradford and Colleen McCullough–all of whom can make you taste, hear, smell and feel what they describe. That’s difficult to say. On one hand it is Son of My Soul because it was written for my son and is about my life and then our lives together. It has helped so many of my readers deal with early child abuse and the subsequent parenting of their own children. The pot was sweetened when Chris, at age 15, wrote and was traditionally published with the companion book “Just Chris” where he gives his side and his memories of us as mother and son. Then there is “Cedar Woman” which I wrote to honor my adopted sister (through the American Indian ceremony called Hunkapi or the Making of Relatives Ceremony) Julie Spotted Eagle Horse Martineau. I loved the research and was able to use my own memories and experiences of some of the ceremonies such as the Hunkapi, Pipe Ceremony, Naming Ceremony, Sweat Lodge and the Wopila or Thank You ceremony held the day after my adoption. Also, Julie helped me with the authenticity of how these were presented and with the language. Well, I think we know the answer to this already, but I’ll ask you anyway. (Laughing here) Where does your character inspiration come from? Always, always, always someone I know! It makes it more real, more believable and I have been honored in being called a word master myself by a very talented and successful author, Linda Alexander, who has been on Oprah and whose book “Reluctant Witness–Robert Taylor, Hollywood and Communism”, which I was privileged to edit, has been featured on Turner Movie Classic’s website. Best experience is in the actual writing–watching your story grow and take on its own personality. Also, I love writing challenges. For instance, you’re told to pick up a piece of fruit, smell it, feel it, then taste it and describe the experience. Or poetry challenges–I just love them. Worst was when I came home from the hospital the first time in October of 2012 to discover that my PC had crashed and that I may have lost all of my writing! So, there I was, barely able to walk, or sit up for that manner, weak and sick and I had to contemplate the fact that I may have possible lost everything I’ve ever written. The cable company had sent a signal through the modem and crashed everything, including my external hard drives. Fortunately, we were able to recover everything. Ugh! That was ugly. What’s the best/worst writing advice you ever got? Someone told me to edit my own work. Big mistake! You can be perfect as an editor, but not with your own work. You see what you meant to write, not what you actually wrote. I did not take their advice. Good for you! What is your latest work? My latest book is “Cedar Woman”, a romance about a woman of the Lakota Sioux who opens the first fine dining American Indian restaurant in the Greater Columbus area. The book is full of Lakota customs, beliefs, ceremonies and language and includes a cookbook of American Indian/Modern Cuisine recipes. You have to check out the “Cedar Woman” Aztec Chocolate Cheese cake that my son and I developed! 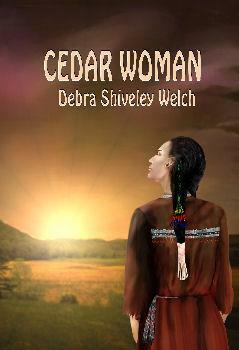 “Cedar Woman” has won Best Native American Fiction 2011. I am now working on “Christopher Meets Buddy”, which is the second of the Christopher Series of children’s books about the proper care of pets. In this edition, we discuss the proper care of a pet bird. Also in the works is the sequel to “Cedar Woman” titled “Ista Numpa”. Ista Numpa is Cedar Woman’s best friend and the book will follow her as she triumphs over domestic abuse. My son and I are working on a cookbook of time-tested family recipes which will be called “Christopher’s Family Table”. That’s a lot of work in the pipeline. Sounds like you’re extremely busy! What do you want your fans to know about you and your work? I am a traditionally published author with Saga Books and enjoy my craft a great deal. I write to entertain, to take you away from your troubles and every day humdrum, and to hopefully make you feel better. I research extensively, so you can count on what you read in any of my books unless it is obviously fictionalized. I don’t write to earn money. I write because I have to–that is–I write, therefore I am. I had my and Chris’ DNA analyzed and found out that my adopted son is my fourth cousin! Now whodathunk? I’m the fundraiser for Wide Smiles, an organization which helps parents with children born with cleft lip and palate and other associated craniofacial anomalies. A percentage of my royalties goes to Operation Smile. I’ve managed to send enough to have a child receive the life-changing surgery. I almost became a Benedictine nun. I miss my grandparents so much that it hurts. They’re all available on Amazon. Debra, thank you so much for taking the time to share your story with us. We’re all very grateful that, with all your open projects, you were able to take time for us.